​An excellent ​college basketball matchup just wrapped up at Madison Square Garden between the No. 2 Duke Blue Devils and the (then) undefeated No. 12 Texas Tech Raiders. Duke pulled out a 69-58 victory on Thursday night, as they handed Texas Tech their first loss of the season. 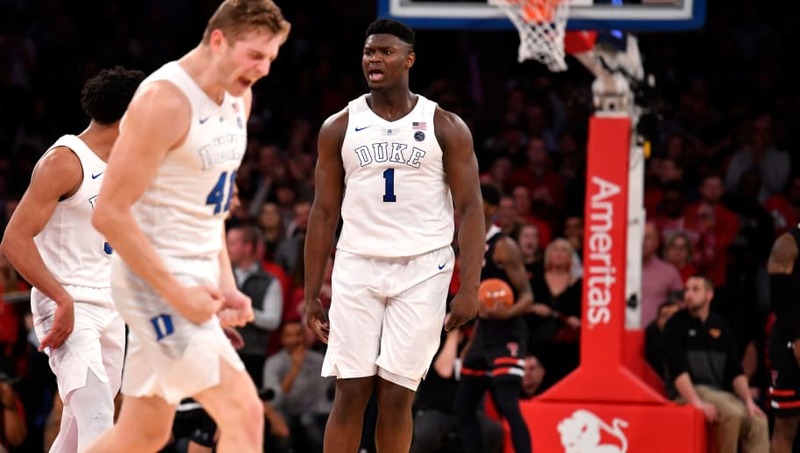 ​​Leading the way for the Blue Devils was forward ​Zion Williamson, as he recorded a double-double by putting up 17 points and 13 rebounds. Tre Jones also had a solid all-around game for Duke as he recorded 13 points, six rebounds, five rebounds and five assists on the night. The Blue Devils struggled with their outside shooting, connecting on only three of their 20 attempts. They also turned the ball over 19 times. However, it's telling that they still came out with a win against a good opponent in Texas Tech despite their flaws. This just shows that this year's Duke team will be a force to be reckoned with when March rolls around.